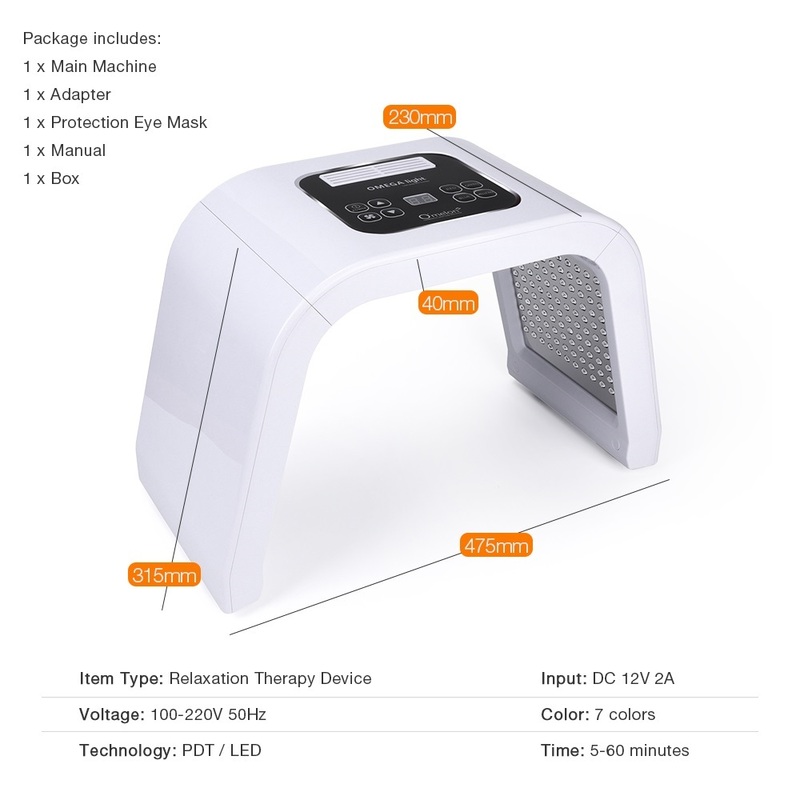 Photon dynamical therapy is a new technology, using the photon power to do skin maintenance and treatment, transfer light energy to cell energy, then accelerate cell growth and blood circulation, stimulate fiber cells to produce collagen proteins, increase skin elasticity and take important part in rehabbing aging and acne skin, improve freckles. Promoting the growing of collagen to whiten and brighten skin and reduce fine lines or wrinkles, shrinking pores to tighten the skin and improving skin color to let skin become more smooth and elastic. Firming, lifting and tightening the skin restores elasticity, improves skin texture, smoothes wrinkles and improves pore. therapy. 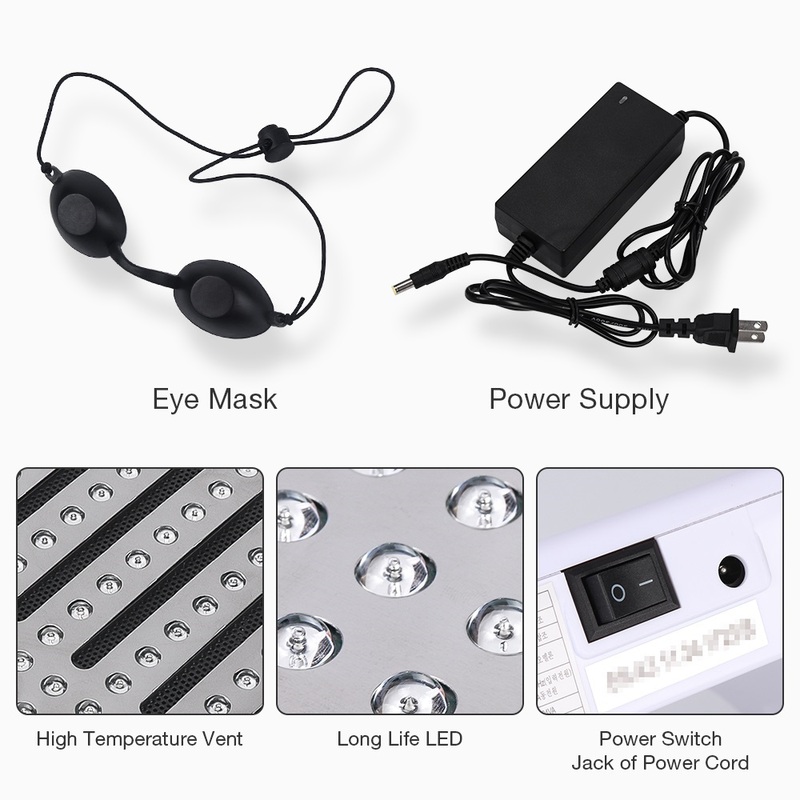 Studies confirm that the same LED energy can be used to inhibit collagen formation, By manipulating the wavelengths, cells can be turned on and off. Red light are used for photo dynamic therapy. 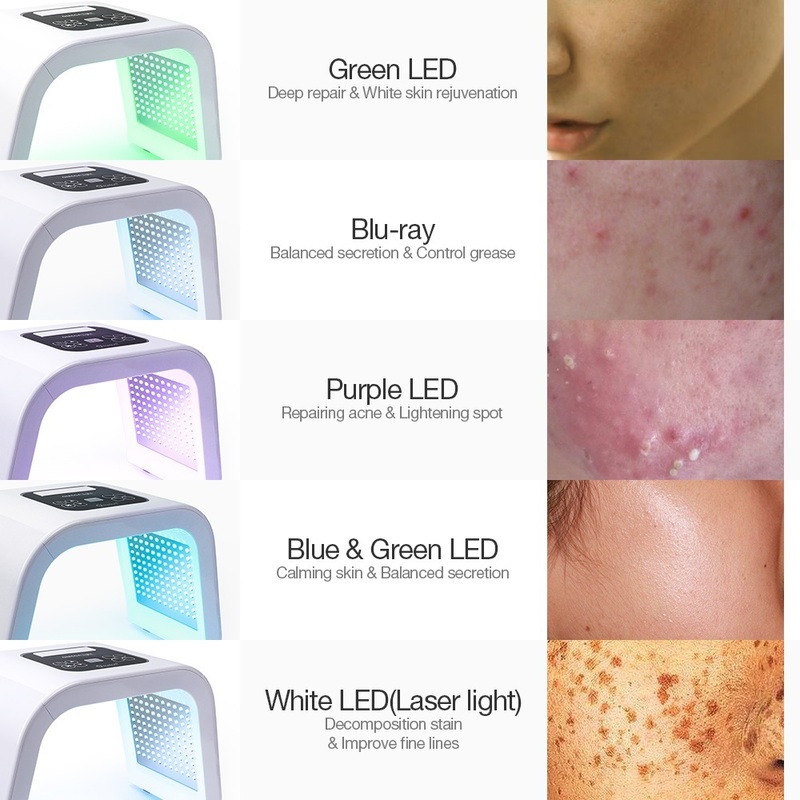 Blue light are used in the treatment of acne. Green light reduce melanin cell, decreased pigment. 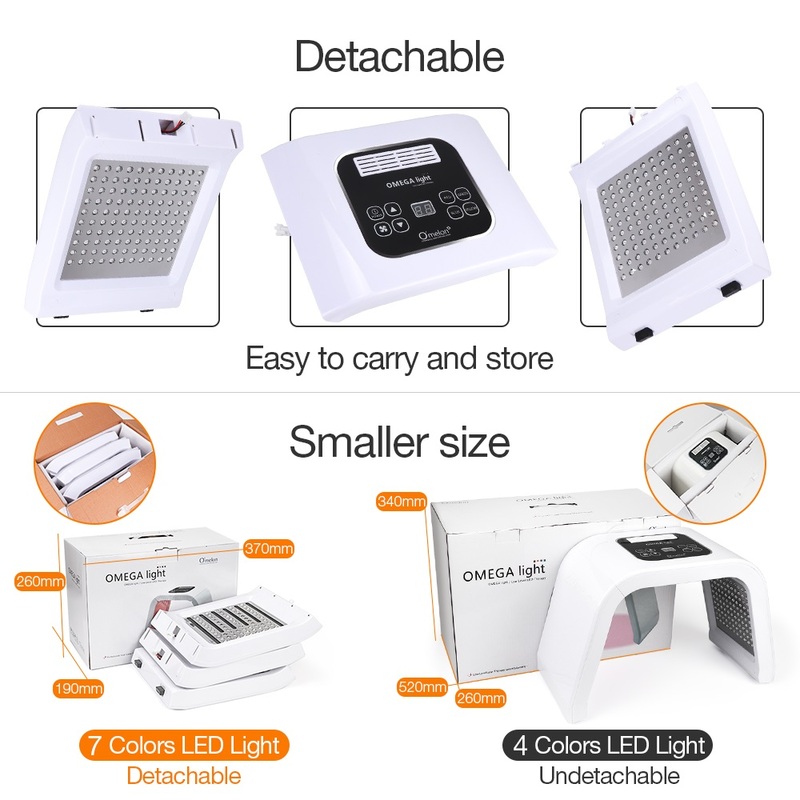 Yellow light are used for photo-rejuvenation. •Repair and nurse the damaged skin. •Improve symptoms such as aging and loosening skin, big pore, slender wrinkles. •Improve pigmentary pathological changes, such as freckle, sunburn,senile plaques. •Improve dark complexion caused by bad metabolism or poor circulation. •Do detumescence, inflammation diminishing and scar elimination treatment for oil acne effectively. 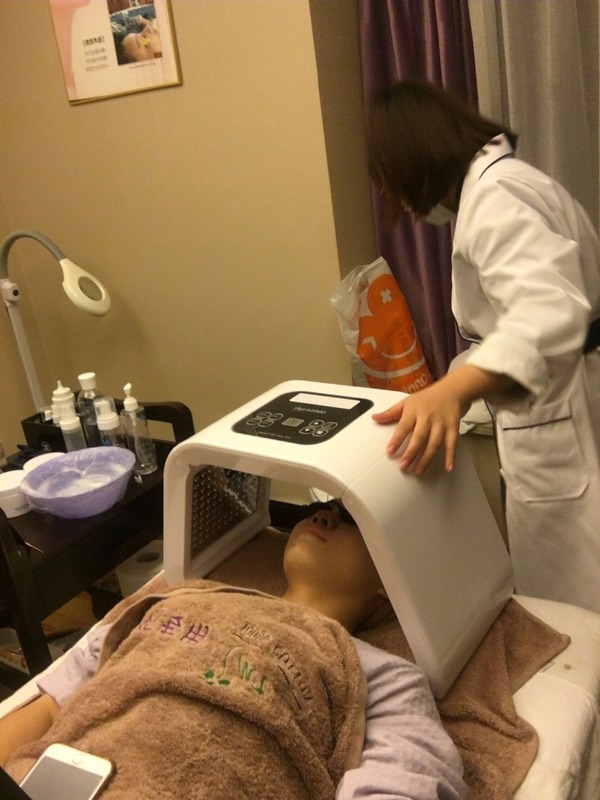 Natural beauty machine uses the LED light therapy to accelerate the skin circulation for anti-aging, no side effect, healthy and safe. 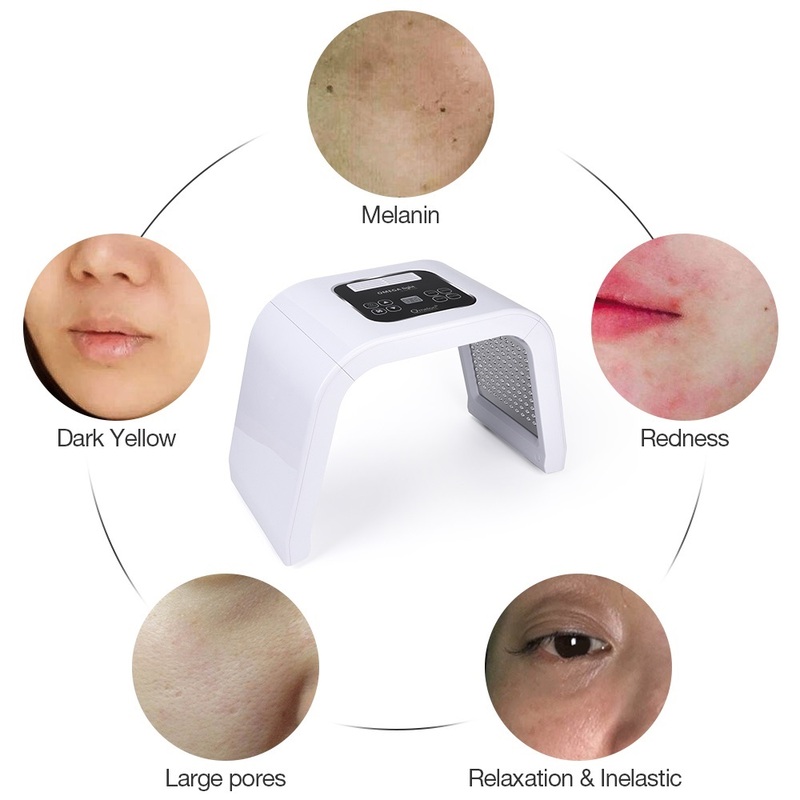 A skin care tool for you, which can lighten pigmentation, fade spot, repair skin, deep nutrition. 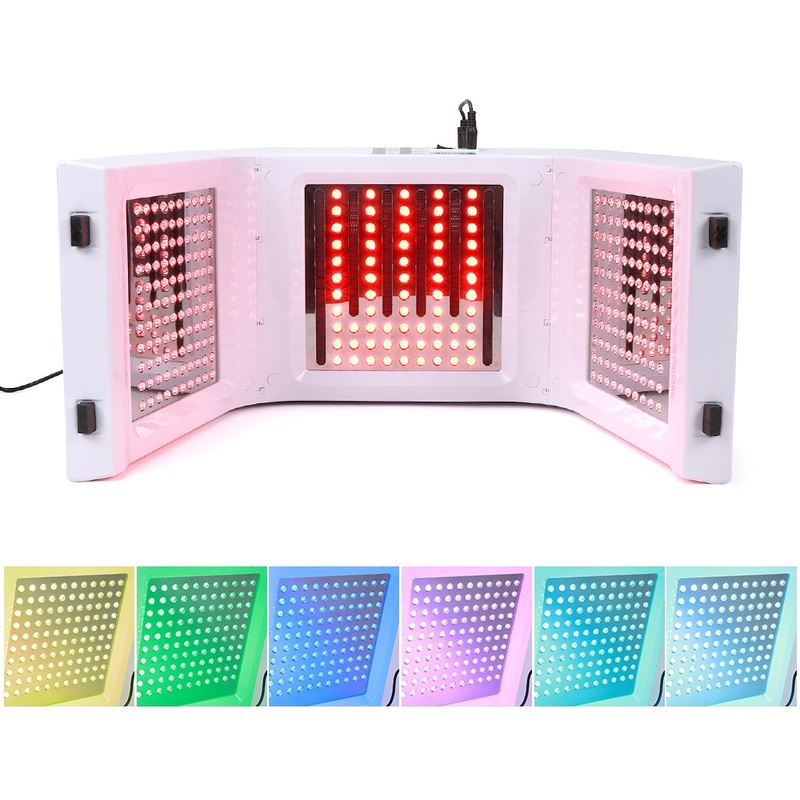 Photo therapy technology, combines 7 colors led light which has different wave length for light treatment of skin problem, helping to regain the young look. Can effectively diminish wrinkles and sagginess, shrink pores, improve oily skin, enhance and tighten the skin, as a result of achieving the white, tender, elastic and young skin. This short-time therapy is easy to use, non-risk of burning, comfortable and painless. 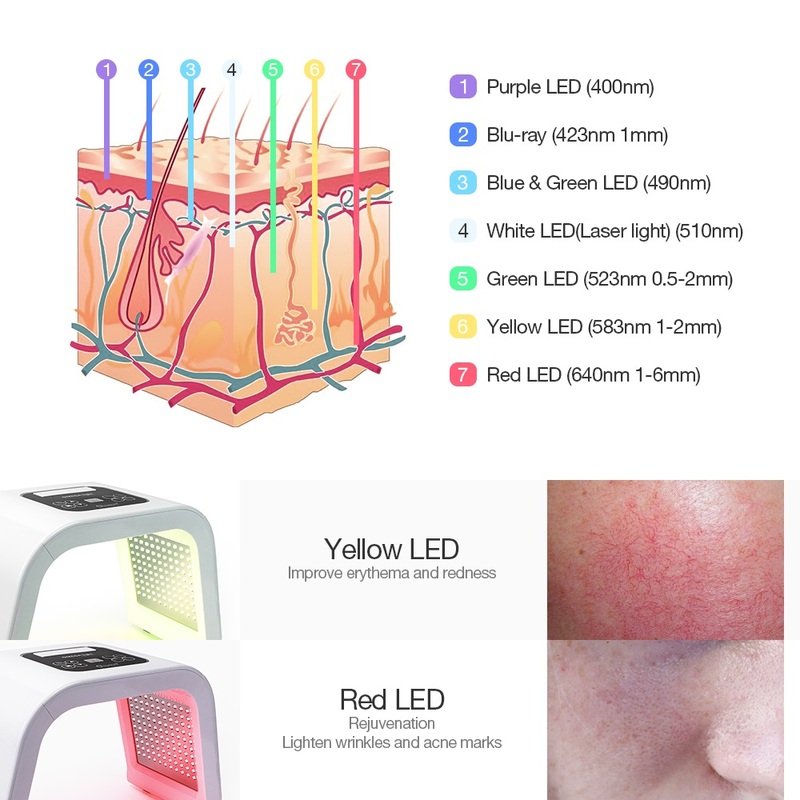 Exquisite appearance and also unique design, suitable for treating acne, facial red, smallpox mark, pores and removing blackheads. To improve symptoms such as aging, loosening skin, big pore and slender wrinkles. To improve pigmentary pathological changes, such as freckle, sunburn and senile plaques. To improve dark complexion caused by bad metabolism or poor circulation. To repair and nurse the damaged skin. Do detumescence, inflammation diminishing and scar elimination treatment for oil acne effectively. Benefits: Skin Rejuvenation, reduce fine lines, black spots- removal, enhance skin elasticity, shrinking pores, clean skin deeply. 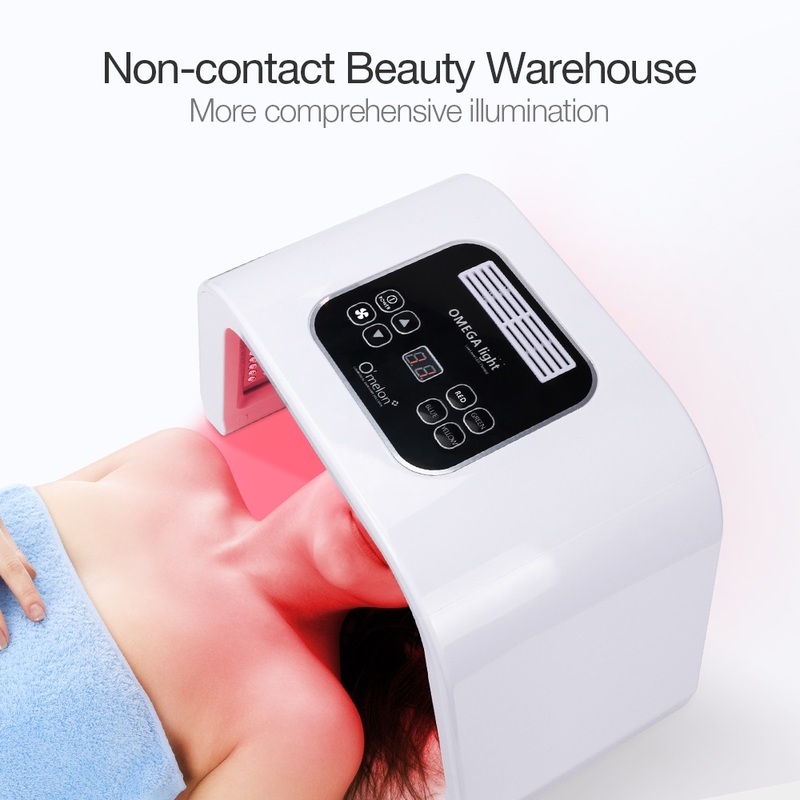 LED offer a totally natural, non-ablative method for skin rejuvenation. 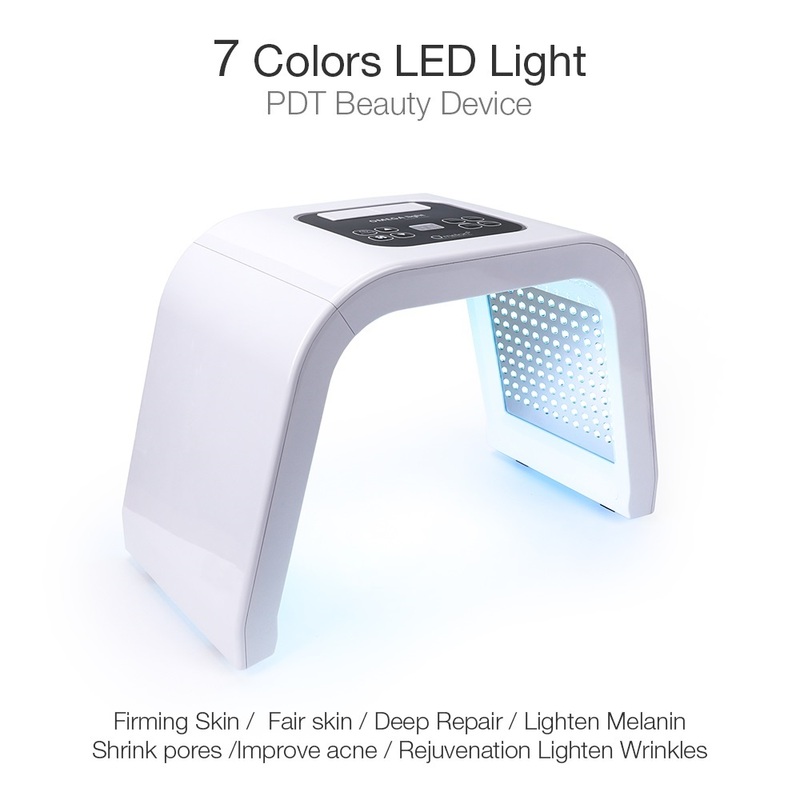 The light from the LED interacts with cells and stimulates them to produce new collagen and elastin bio light therapy. Studies confirm that the same LED energy can be used to inhibit collagen formation, By manipulating the wavelengths, cells can be turned on and off. 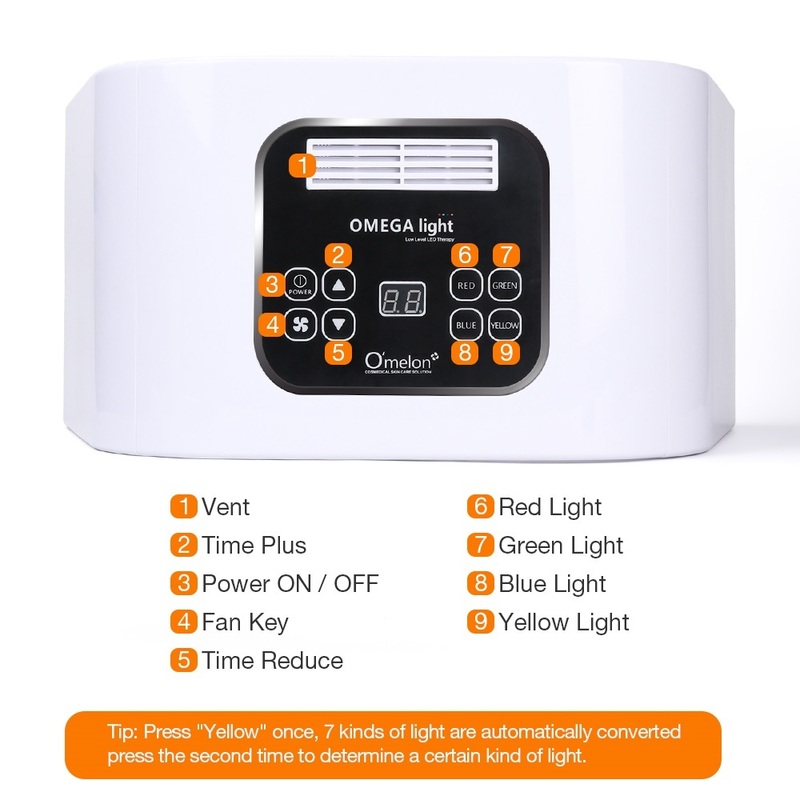 Tip:Press "Yellow" once, 7 kinds of light are automatically converted, press the second time to determine a certain kind of light.